SHAH ALAM: Selamat Jalan Fulcrum, Finally? Even though RMAF has not officially said that its MIG-29 Fulcrum have been retired, we have not seen them flying since late 2016. And despite an attempt to put them back into service, it appears that the end is finally here. During the last two years, Malaysian Defence has posted at least four articles on the Fulcrum, here, here, here and here. An MB-339CM and a MIG-29N Fulcrum demonstrates the interception at the NCO demonstration ceremony at Kuantan airbase in May, 2016. It is interesting to note that even with RMAF reluctance in prolonging the service lives of the Fulcrums, there was an attempt in the background to get the funds for just that purpose. It was so advanced, I was told that it was included in the Defence Ministry plans prior to the general elections. The plan involved the cooperation of an Eastern European which has the expertise in upgrading Fulcrums. No 17 Skuadron Fulcrums – M40-10- and M40-16 – taking part in the rehearsal on Feb 25, 2016. Indeed I was told that it could have been funded if the previous government remained in power. It must be noted that even though Tun Mahathir Mohamad has on record supported the idea of not retiring the Fulcrums prior to the May 9 general elections he did not get involved when the matter was discussed by the current leadership at Jalan Padang Tembak. I was told the current leadership had deferred to the RMAF when the discussions on the issue came about. So it appears that the plan to revive the Fulcrums is now dead. Two Fulcrums taking off for the flypast during RMAF anniversary parade in June 1, 2016. One of the last time Malaysian Defence saw the Fulcrums flying. On whether the plan to sell the Fulcrums to India remains on the table however is beyond me. My guess is that it will not happened as I was told that we need the approval of the Russians (similar with our arrangement with other arms sellers of course). As for the Flanker upgrades I am told that it is still classified as KIV as we still got another six to rely on for the next few years. 44 Responses to "Selamat Jalan Fulcrum, Finally?" Retired but keep in reserve like former F5E? The F5E was never in reserve it is retired. Anyhow if an aircraft is put in reserve the aircraft will be kept in a flyable condition, and pilots remain qualified. I believe this east european country to be Belarus. On the MKM, another six for next few years? So is the 14 years overhaul extension as per Indian MKI can be applied to our MKM too? On the MB-339CM, it seems like it has not been seen publicly for quite some time? Any operational issues with the MB-339CM? So what is in then for LIMA 2019? How to save face if we do not buy anything major for like 3 LIMA’s in a row? Do a counter trade with the MiG Airframe with Russia for the Sukhoi mid life program. Might also have been Poland. It could also have been a Russian citizen [with previous experience] working with ATSC/AIROD. Parts could have been sourced from a variety of non Russian suppliers but the danger is that the OEM or Rosoboronexport wouldn’t have provided certification/warranty for parts sourced from outside of Russia. Yes, companies realise that gaining big ticket contracts is a long term affair and that even in times of spending cuts; building and maintaining relationships is vital but if the government can provide no indication or if defence cuts drag on indefinitely, companies won’t spent the time and expense to exhibit. Or if they do it will be scaled back. Lets see if RTAF Gripens are there [SAAB previously provided funding for the LIMA appearance]; as well as others. On the other hand companies like Thales and DCNS will have no choice but to still maintain their presence given the number of contracts they’ve gained. I suspect LIMA 2019 will be pretty much normal but LIMA 2021 remains to be seen, as far as major exhibitors go. On hindsight if only we had purchased 18 Hornet C instead of 18 Fulcrums back in 1996. Sigh, and to know that Thailand had also placed an order for 8 Hornets but due to the 97 Financial Crisis the kingdom could not pay in full, to compensate the Clinton administration allowed the funds to be used to buy the Falcons instead and the 8 ordered went to the US Marine Corps and/or Navy aviation squadron. 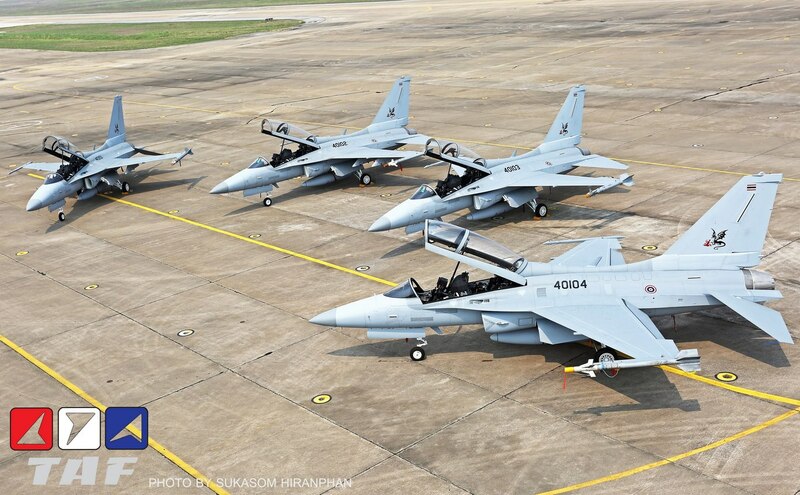 That would have been a total of 8 D (which is still in service in Penang thank God) + 18 Hornet C insteads of the 18 Fulcrums + 8 from Thailand order = 34 Legacy Hornets. Would have been a nice fit to split between Penang, Kuantan and Labuan for that. Instead of going for the Sukhois (another big sigh), 18 Rhinos (Super Hornets) would have been better. I don’t buy this advocacy of having to please both the West and Russia in case of diplomacy breakdown. See what MH 17 as a case in point. Triple sigh. As they say in Russia our Russian jet fighter purchases are Cyka Blyat! Itis not just the jets to be worried about. How about the pilots? Every pilot must fly few hours a month to maintain the skill. Although there is simulator it wont be the same. Flying is a must. With only 6 MKMs, 8 Hornets, and several hawks (bigger in number jets unflyable) there are plenty of pilots undertrained. Government is very diffficult to decide about the jets if the money is scarce. Sell them but no money to buy new one. Maintain them but not worth enough. the offer was for 12 FA-18 or 40+ Mig-29, and we choose to buy a few of both. as is with the rhinos, there was never a budget to buy 18 of them. Remember each MKM costs just USD45 million each, which is actually way cheaper than even a Gripen C.
I have advocated an idea here on malaysian defence long time ago on how to tackle the issue of fighter pilot currency. Just waiting to see if the airforce leaders are inovative enough to think about something like that themselves. Eastern Europe either Belarus or Ukraine had that capability. Belarus is our choice if we take politic as consideration. I had doubt on Poland capability. If we can’t even extend n upgrade our MKM, it will not have any U turn. Poor our TUDM, TLDM n ATM still have new toys if everything run smooth. It would have been nice and dandy to go with Western and solely from US for hardware but as Indonesia back then and Saudi in recently found out, displeasing the USA masters (& their allies) means an indefinite freeze of more hardware and corresponding support until they are happy with the changes they want. Indonesia are still saddled with their non-flying F-16 A/Bs due to a standing ban in spare parts supply. Furthermore, back then Madey was in a sour relationship with USA and the Fulcrum buy was his way to retaliate & pressure the Hornet sale. Both Russki jet buys were his decision, really. Would be great to have a passionate person like him (and others too) to discuss his thoughts here on malaysian defence. You are like 10-15 years behind in what is the latest news on indonesian defence matter. To put it simply, the ban/embargo was rescinded in november 2005, and indonesian F-16s are flying fine. Well, we are proud to stand “independent” and don’t need help from the big boys. So here is the result. Whatever country we would have sourced the “upgrade” from, it would have been modest and not resulted in any substantial increase in capability. I disgree when people said we ahould bought western fighter over russian. Indinesia as close neighbour already gave a lesson when you put all egg in one basket. Unless if you are US close ally. MY can not always follow which direction US finger pointing to. What MY experience today is the other way what the indonesian had. There is negative sentiment at russian. Mixing western and russian fighter is still the best option. Indonesian even keep their F16 flying all this years embargoed or not. The problem with RMAF is money has not been provided enough for several years even just to keep them all flyable. The unexpected economy downturn hit MY. The unique gold plated items that ATM always bought make things worse. No but it would have enabled the type to continue flying for a few more years; which in turn would have taken some pressure of the MKMs and Hornets. People often harp on the U.S. placing sanctions but the fact is that almost every country which is major arms exporter has been known to place sanctions or restrict the sales of arms; not just the U.S. Arms sales are an extension of a country’s foreign policy as such they can be used as a ”carrot” and a ”stick”. People also like to mention the U.S. being strict with providing source/objects codes but so do the Russians, Chinese, French, Swedes, etc. Its cheap price [without a spares package], plus Russian willingness to accept part payment in commodities were the clinching factors. It was also hoped that the deal would lead to other business opportunities with the Russian Federation. The decision to get Hornets only came later, although plans to buy both were publicly announced at the same time by Najib. And the Laksamanas, PT-91s, ASTROS, Hawks, Jernas, Scorpene; just about everything really. Michael – ”astern Europe either Belarus or Ukraine had that capability. Belarus is our choice if we take politic as consideration. Other former Warsaw Pact countries also had/have the capability to perform depot level maintenance; not just ”Belarus or Ukraine” but very few actually had the capability or were certified to overhaul the RD-33s. If ”we take politic as consideration” why would Belarus be the main choice? As it stands, any Fulcrum upgraded or overhauled by anyone other than the OEM voids any warranty or lacks any certification by the OEM. This might not be an issue for certain countries but for others it might. Please share with us the reasons why. There is no such thing as the ”best” option, only what a particular country thinks best suits its purposes, in line with ts foreign policy, threat perception, etc. Not placing all of ones eggs in one basket has its merits but also its penalties. Buying West/ East mix results in a separate training/support infrastructure to be established; consumes not only funds but also scarce resources. One of the reasons we face the problems we currently is because we bought a Western/Eastern mix. No we can’t but despite all our talk about being non aligned we train with the U.S. more regularly than with any other country and we benefit from U.S. funding provided via training/exchange programmes. The U.S. is also one of the largest investors here and a major destination for our exports so even though we are not ”pro” U.S. or a treaty ally we still depend on the U.S. to a large extent. Increased capability? By far our most pressing issue is to maintain whatever capability that we have right now, with the retirement of the MiGs and low serviceability of other aircrafts. Outside russia, known countries that could work on the MiG-29 engines are belarus, ukraine and poland (which is now considered a bona fide NATO member, not an eastern european country). AFAIK only belarussian plants are certified by russia. Poland recently got the contract to overhaul bulgarian MiG-29 engines. Uzbekistan and Kazakhstan recently sent their MiG-29s to belarus for overhaul and upgrade. As for our fulcrums, other than india, it is said that bangladesh was also looking for additional airframes. India might still be interested as they quite recently bought additional 2ndhand mirage 2000 and jaguars from france. Yes the probability of selling them off is low but kementah needs to at least try to find buyers for them. Actually no. What really made ”things worse” was the policy of basing purchases not on factors such as operational needs, cost effectiveness or on achieving commonality but on political factors such as ToTs, offsets, how the deal would improve business ties with the country awarded the contract, etc. In short we bought a little of everything but that MAF never received enough of anything and paid the price, along with the taxpayer. Just like how operating Hornets, MKMs, Fulcrums and Hawks was a big strain on the RMAF’s support/training infrastructure; operating various ships with different radars, CMSs, ESMs and other sub systems is a big strain on the RMN; which the 5/15 is intended [on paper] to rectify. Irrespective of whether a NATO member or not; Poland by virtue of geography is still an Eastern European country, as opposed to a member of the communist or Eastern European bloc which of course are now defunct entities. “By 2005 the Air Force was experiencing a logistical crisis. The F-16s and A-4s, which accounted for 80% of its air combat assets, were at the minimum or nil level of combat readiness. So what they now flying was actually those newer Block 25s. Those earlier A/Bs were mothballed and likely cannibalised to keep their dwindling numbers flying until very few remains. The point is, an embargo from USA is crippling if we went for single sourcing when looking for Western hardware. Tun meeting Putin asking help in maintaining the aircraft bought.. There may be more life to Migs and SU than we think perhaps? if we cross check all the resource available at google, only Belarus, Ukraine and Poland are the eastern country capable to upgrade the MIG. Why not Ukraine or Poland? Ukraine we will mess with the Russian. Poland, they only manage start use the Mig late 80 in a small number then follow by receiving ex-German. Belarus had use the MIG for a long period of time + they have a good record on the MIG maintenance as per … pointed out. A rare video about our MIG at Russia MIG factory…. Wikipedia? Seriously? Even that you dont really comprehend what was written there. And what part of US embargo lifted in November 2005 don’t you understand? That is 13 years passed since the embargo lifted. That min level of combat readiness was BEFORE OR DURING 2005! As i said many times to you, read up before typing nonsense that i need to correct so others dont take this as fact. and all are operational. The F-16A/B are based at Pekanbaru AFB in Riau. They will undergo mid life upgrade to able to carry and fire the AMRAAM missiles. True…that why I proposed a mixing US and Russian fighters is best choice. What other option MY has? Buying european which many parts are still made in US? As a member of NAM, OIC and strong supporter on Palestine independence, MY has consequence on the other side of US/western foreign policy. I’m talking about maintaining fighters. One US expert says US part is considered “cheap” because the US still use big numbers of fighter same as yours. There are plenty of parts available so the price is “cheap”. MKM is the only flankers with france parts in it. Integration and maintenance will cost higher as MKM asked for “special” treatment. There always best option even there are no good alternatives are available to choose. The best of the worst. The worst is no choice is made. 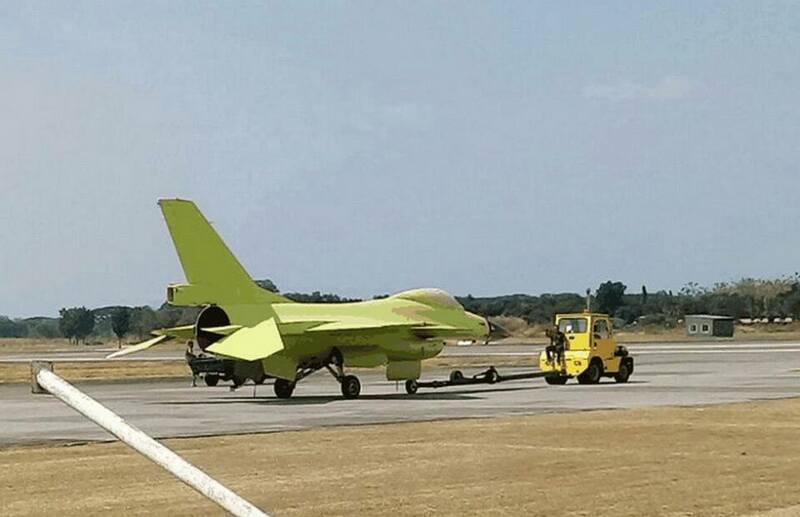 TNI are on the process of upgrading the old F16A/B to be on par with their newer F16C/D. Yes. AFTER 2005. So please share what happened to the F-16 fleet from 1999 until 2005? If you choose not to trust wiki, fine. Is that clear enough for you? I will admit my mistake in assuming the A/Bs are no longer usable (Thanks to D.W for sharing they can still be upgraded). But please stop trying to spin that such an embargo would not have been crippling to us if we didn’t dance to US footsteps. Going for US only, isn’t the clear and easy choice as it may seem. Which is precisely the reason why the RMAF is facing issues. Issues in having to establish and maintain a separate training and support infrastructure to keep its ”US and Russian fighters” running : a major strain on resources. There is a reason why the RMAF’s future plans call for limiting the number of different types operated and why even Tier 1 air arms with larger budgets and resources have done the same. Like what? If not modified or not integrated with no spec stuff, most European stuff does not come with U.S. components. The fact that we are pro Palestine and non aligned should not influence us in what we buy. And so what if we buy ”Made In US” if that’s what best suits us? Just because Malaysia is a Muslim country, is non aligned and is not a U.S. treaty ally doesn’t mean we shouldn’t buy ”Made in the U.S.” if that what best suits us. It’s fine to say we shouldn’t buy ”Made In The U.S.” but the plain fact is that we have a deeper defence relationship with the U.S. compared to any other country, the U.S. is a major trading partner and one of the biggest investors here and [despite the rise of China] the U.S. is still the dominant player in the Asia Pacific region. If someone is silly enough to suggest that we shouldn’t be too close to the U.S. because of its policy on unconditional support for Israel or because of flawed policies in the Middle East; then we must as well do the same with China because of what they’re doing with the Uighurs and the same with Russia because of what it did in Chechnya and how it mistreats Muslim minorities in other parts of the Caucasus. Also, in the unlikely event we were subject to U.S. sanctions our biggest worry would be trade and the economy; not sourcing parts for military gear. That would be the least of our worries. Also, the chances of us getting embargoed is very slim and it’s not only the U.S. that places embargoes on countries – why this paranoia about sanctions? In the long run operating Western fighters is a more cost effective solution as Russian fighters have radars, landing gears, gears, nozzles, engines, etc, etc, with a lower MTBF and TBO compared to Western equivalents. We’ve discussed this numerous times here in the past. No ……….. Not sure how you reached the conclusion but the main advantage here is that buying U.S. parts is a less cumbersome/painful affair compared to Russian. This is a well known fact and even though things have improved a lot; the whole system of buying parts can be a long tedious and painful one. In many instances the user won’t deal direct with the OEM but with Rosoboronexport, this can and does lead to delays. Whether a direct commercial government to government sale or under FMS; buying U.S. is much less painful compared to buying and dealing with the Russians. In many cases [even now] English [or the lack of it] can be a problem and lad to delays. Only a few years ago a query sent to a OEM took weeks to be replied for the simple reason that nobody in the factory could speak English. Even when Rosoboronexport was brought into the picture it still took some time for the query to be replied. Even countries with decades of xperience in dealing with the Russians still have issues, ask the Indians. Never has been, never will be. What there is is making a trade off or compromises based on what to get which is in turn driven by economics, threat perceptions, foreign relations, commonality, long term operating costs, etc, etc. Mahathir decided we should buy Su-30s and to meet its operational requirements the Su-30s had to be modified for the simple reason that some Russian components didn’t meet our requirements. For that matter, the Russians were even unable to supply a flight simulator. And, so? Belarus had good ties with Russia, it also supplies Fulcrum parts ans stuff like towed decoys but what has that go to do with us? Yes other countries also can perform upgrades/overhauls; irrespective of whether approved/certified by the OEM. There is no reason at all why going to Belarus would be more politically acceptable [as you claimed] than Poland or some other country. I think it would be safe to say that other areas [relating to regional security and the economy] will be discussed in the meeting in which time will be limited; rather than the issue of aircraft upgrades in which Putin’s help isn’t needed. You were right.He did raise the issue but to me, is it a question of us needing help or a question of us appointing the right company to perform the job and a question of proper funding as well as no bureaucratic or other delays on the part of the Russians? No it isn’t but the same applies for everyone. Buying European can have its share of issues but so does buying Chinese. At the end of the day what we buy must not be based mainly on political factors. As long as it does, things will not change and we will be straddled with long standing issues. I did not suggest upgrading the Fulcrum’s capability substantially. I said that the air force’s intention with the project was simply to prolong the operational life of the aircraft, considering they need every airframe they can get. There would be little sense in sinking capital into a small number of aging aircraft that can give us only so few additional years of service, with such high maintenance costs. Where on earth did I spin?? All 3 of us are talking about the same thing, and seems you are just annoyed with me alone. NEVER did i say anything about embargo not crippling anyone. I demand an apology from you. Buying from 2 opposing sides not only means duplicating your support infrastructure thus paying more, it also means that in any conflict, you can expect half your force to be sidelined. In this case it also means neither side trust you with their higher-tech weapons or give you good discounts. Anyway, as Azlan says; in the first place Malaysia has always spent more to feed “local industry” (read: crony) rather than actual defence capability, so there you go. Agreed. That is why i never suggested to do anything with the MiGs except to sell them off. That is also why IMO doing anything to our hawk fleet has little sense too. Sadly our defence industry is a money printing machine for a few, with little patriotic conscience to give back something meaningful to future generations of malaysians. This has to change, and hopefully change will come sooner than later. It’s fair to say that if Indonesia (or any country on the South China Sea) committed those same abuses today, the US would be far less willing to impose an embargo because it would be much more damaging to its own interests. The obvious reason being it is, in their own words, an age of “great power competition” and such an action would be a godsend to China. Even ignoring that, there’s also the point that Indonesia’s economy and defence budget put them in a much better position to pursue alternatives today than in 1999. And there are more fighters in Indonesia’s price range (and other classes of equipment) available from other suppliers today. Even the Russians, if they aren’t offering new fighter designs per se, have become much more credible suppliers than in the 90s. The US sees us through much the same lens as we are a softer target than Indonesia for Chinese influence and pressure (in terms of our need for financing, access to sectors of our economy and trade dependencies, posture in the SCS etc.) As we aren’t in the business of invading our US friendly neighbours, committing human rights abuses on ourselves or integrating F-35s to Russian SAM systems, we have little need to worry about export embargoes. Relations with the US have long withstood occasional remarks on the US/Israelis from the PM. It’s not as if we are expected to “dance to US footsteps,” as someone here put it, by joining any Sunni coalitions or setting up an embassy in Jerusalem. Are not bright and shiny either. Certainly not to the point of any tangible weapons availability above the norm for the region. I don’t know what’s happening in Indoland, but from the apparent looks of it, somebody there decided to get serious about defence rather than just use it as another money pump. I don’t think we need anything “above the norm” from uncle sam for our defence needs. Indonesia has always been serious about its defence, as it has been used more than once to expand indonesian territory and also to keep its integrity. Unlike malaysia, indonesia is also not shy in using loans to buy weapons that it needs. AFAIK we have never borrowed money to buy our weapons. As of using it as a money pump, indonesia is not immune, looking at the recent AW101 helicopter fiasco. We are where we are because we insist on being “normal”. Whereas other countries establish deeper relationships, and receive the benefits. Short term let’s go sweedish but not taking new but from stock of old (well not that old) the C and D version, which roughly 23 will be made redundant while they are introducing the E and F version(based on estimates that the will be the E/F version from 70 out of 93 current version of the Gripen. Well if we just need a light fighter with interceptor duties, a gripen armed with sidewinder maybe Mica/Asraam combo would be sufficient? I was in favour of something like what you are thinking. But in greater scheme of things, the aircraft would be a used one, and we still need to buy another different type of aircraft as our LIFT platform. Then there would be a need for additional training for fresh pilots moving from the LIFT platform to the Gripen. What RMAF would want is MRCA. Grippen C/D does not fit the bill. Neither is it cheap or economical for the role of LIFT/LFA. Might as well go straight to T/FA-50s. Supposedly Raytheon and Northrop offer AESA radars as well, so we don’t have to use the Elbit one. Bulgaria has just approved the budget to overhaul its 8 MiG-29. The budget allocated is USD47 million. That is about USD6 million per aircraft.